New Delhi: While the decision to increase the retirement age of AIIMS doctors, is nearing finalization, strong voices are being heard within the premier institution, against various aspects of the decision. While the Resident Doctors have outrightly rejected the proposal , calling it an insult to the youth, many senior faculties at the institute have demanded this move should only come with the implementation of rotational headships. As the Governing Body of AIIMS cleared the retirement age for faculty as 67 years, the Faculty Association of the premier hospital said the new decision should be implemented only after the introduction of rotating headship for the various departments. 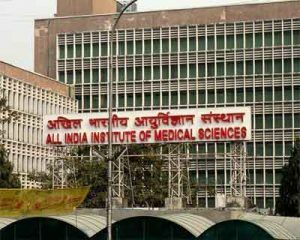 The Faculty Association of All India Institute of Medical Sciences (AIIMS) on Wednesday said even if the retirement age of the faculty members has been increased, there should be a rotation for the post of the head of the department and should not be held by the one holding it now. “Regarding the decision of Administration to increase the age of superannuation from 65-67 years, majority of faculty in general body expressed their strong opinion that age should be increased only with implementation of Rotating Headship for the respective department,” said the statement from FAIIMS after holding a meeting on the issue. According to the FAIIMS, the rotating headship has been already approved by the governing body of the institute in 2012, which must be implemented without any further delay. “A few young faculty members disapproved increase in superannuation age,” said the statement. The decision to increase the retirement age of the faculties at AIIMS was taken on October 21 in a meeting of the institute’s Governing Body attended by the Health Minister J.P Nadda. Earlier, the government had set 65 as the retirement age for all the doctors at AIIMS. Even the Delhi government had decided to set the retirement age for all Delhi government hospital doctors at 65. Following the issue, the Resident Doctor’s Association (RDA) of the institution has also written a letter to the Prime Minister Narendra Modi, expressing their strong opposition to the movement of the Institutes regarding increasing the age of retirement. “The initiation of this process is for favouring few hand count numbers of seniors faculties who are going to retire soon,” said the RDA. These leeches are so used to government posts and easy life that they would like to go to their grave from the institute itself. The retirement age of Govt. officers must be same. So that young people get oppourtunity. In India the yougester are becoming jobless if the retirement age increased more young minds will suffer. There is huge talented people searching for job, but not gwtting. The seniors may serve as a guest faculty for teaching but the retirement age should be similar for all. Even the pople sitting in position didnt advertise for the vacant post in hospitals or academic institutions and showing that there is no suitable candidate available, because they wanted to increase the retirement AGE.